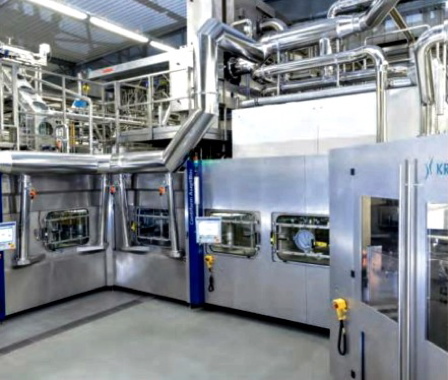 Image above: Modern, energy-saving production machines like the Contiform AseptBlock from Krones AG help beverage producers boost overall efficiency by requiring less energy and water. 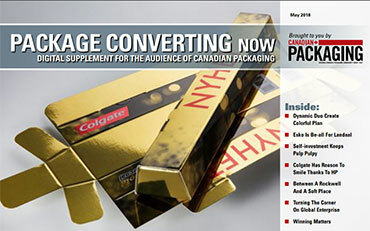 Packaging suppliers to the global beverage industry are increasingly tasked to kill two birds with one stone. On one hand, consumers expect individually designed packages with, if possible, enhanced value-added features and supplementary functions. At the same time, the increasingly eco-minded beverage consumers demand more sustainable, resource-conserving containers manufactured with environmentally compatible methods. 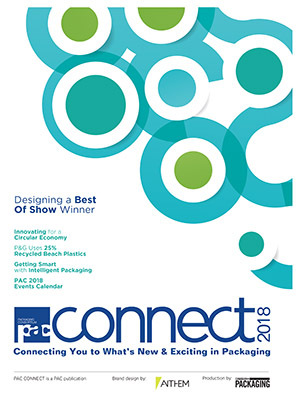 The industry achieves this balancing act with new packaging strategies and efficient production equipment, which will be emphatically displayed at the upcoming interpack 2017 international packaging exhibition in Düsseldorf, Germany, May 4-10, 2017. These days, it is no longer enough for guests to bring their dinner host a bottle of wine. The latest trend in gift packages involves celebrating the act of giving and stimulating emotional connection with new materials and finishes, whereby bottles of wine are presented in exclusive gift boxes with the feel and appearance of real wood. For packaging companies serving the wine industry, developing attractive cartons, folding boxes, baskets, wooden crates, decorative items and carrier bags are all part and parcel of making a gift able to leave a long-lasting impression via exclusivity and diversity. This trend is not confined solely to gifts. Experts in the beverage industry agree that just selling wine and beer in standard bottles is no longer enough to inspire consumers. The fast-growing selection of alcoholic, mixed and flavored drinks packaged in ornate bottles has become so vast in recent years that consumers can afford to be choosy. As a result, anyone who wants to attract the consumer’s attention has to have a product that stands out of the crowd at first glance. “There is a growing emphasis on packaging aesthetics, and hence on the emotions, and this is becoming increasingly important in goods consumption,” says Andreas Steinle of Zukunftsinstitut (Future Institute), a German think-tank for trend and future research. The evian brand of bottled water reflects the general current trend to individualized packaging with its Special Edition collections of fashion world-inspired glass bottles, this one paying tribute to Alexander Wang. For example, the famed mineral water brand evian, owned by Danone Waters, goes to great lengths to highlight the uniqueness of its products. For its upscale plastic bottles, it employs the innovative new it Nature MultiPack technology that uses specialty adhesives to join the individual PET bottles together in a way that allows them to be positioned individually, and easily released from other later. 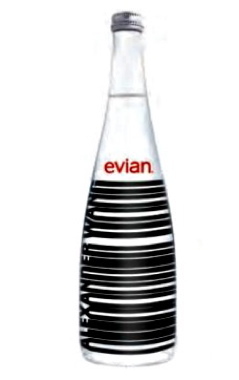 The evian brand is also a pace-setter when it comes to graphic design—releasing nine Limited Edition releases of mineral water bottles styled by well-known fashion designers since 2008. Last year, American couturier Alexander Wang took the barcode as a package theme and rendered it with black-and-white stripes on the glass bottles—using the spaces between the stripes and a purist design to express the evian brand’s natural purity. But individuality and differentiation are not only popular among upmarket brands, as a growing number of European beverage companies are marketing their mineral waters and sodas in smaller, half-liter returnable bottles to appeal to smaller households. Likewise, many sell their product in elegant faceted bottles to improve their chances of selection by high-class restaurants and other upscale establishments. Despite the benefits, lavish packages have their drawbacks. The greater the individuality and complexity of the product’s packaging, the more elaborate and expensive its production, with production costs ultimately passed on to consumers in higher prices. 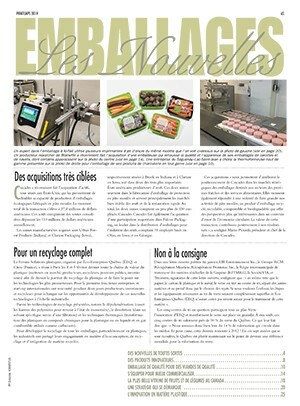 Moreover, elaborate production methods and disposable bottles are a burden on the environment, which some countries are trying to remedy by setting some ambitious targets for bottle reuse. But setting targets is easier than achieving them. While Germany, for example, wants to achieve 80-percent bottle reuse rate, it has in fact fallen to about 45 per cent today from 66 per cent in 2004. During that time, the amount of waste from one-way drink packages has increased by 30 per cent, with total package consumption rising from 465,000 to 600,300 metric tonnes in 2014. 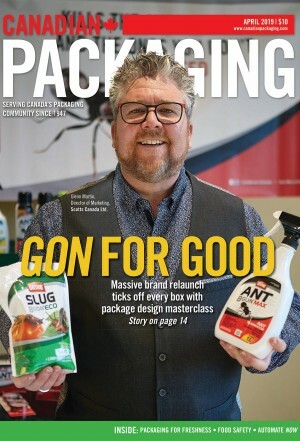 Retailers and manufacturers are both seen as culprits behind the single-use dilemma, and German politicians are increasingly demanding implementation of a single-use deposit into an environmental steering charge on one-way packages, along with the extension of these charges to juices and nectars. The versatile lid of the True Fruits smoothie bottle can be unscrewed and replaced by a salt sprinkler or tea strainer attachment, thereby upcycling the container into a whole new useful product. However, quick-thinking companies like True Fruits are finding ways to turn environmental protection into a competitive advantage. Foregoing single-use plastic bottles, the company markets its drinks in cylindrical, ceramic-printed 250- and 750-ml glass bottles to project the image of honesty, purity, high quality and transparency, to go with the purist design. To ensure that the bottles are not simply discarded into the recycling bin after use, the company developed a series of special attachments that can be fitted onto the top of the emptied bottles. Depending on the attachment, the “upcycled” bottles can thus be used as a sprinkler for sugar, salt and spices; a pourer for oils, vinegar and sauces; or as a tea strainer. Tellingly, the True Fruits brand is currently one of Germany’s market leaders in the smoothies segment. With Coca-Cola recently unveiling its new-generation PlantBottle containers—made entirely from renewable resources—bioplastics offer another promising path for more sustainable beverage packaging. However, there is still a lot a development work to be done before plant-based bottles can replace the widely used PET (polyethylene terephthalate) containers on a large global scale. In the meantime, optimizing energy efficiency in the production process and equipment offers the biggest sustainability payback, along with significant cost-savings. (Left) The new InnoPET TriBlock line from KHS is a three-in-one packaging solution for PET plastic bottles combining a stretch blowmolding machine, a labeler and a bottler. (Right) The direct printing of bottles provides an effective way of individualizing beverage containers. Headquartered in Dortmund, German beverage production equipment manufacturer KHS GmbH has recently enabled water-bottler Mineralbrunnen Teinach GmbH to achieve 40-pecent energy savings by modifying the heater box of the KHS-made InnoPET Blomax Series III blowmolding machine used for the production of PET bottles. According to KHS head of service engineering Frank Goebel, this was primarily achieved by incorporating advanced new ceramic reflectors and infrared radiators into the heater box, where the physical propertied of ceramic elements had dramatically improved energy distribution—significantly reducing the amount of energy required to heat the pre-forms. 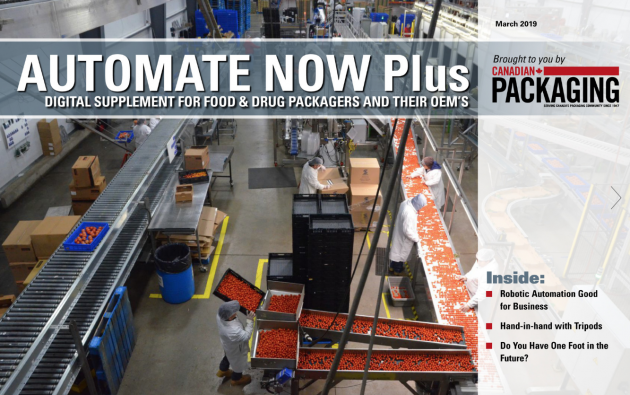 “In addition, the reflectors and infrared radiators have been configured in such a way that the bottle’s delicate thread zone is not heated unnecessarily, thereby reducing the amount of energy required to cool that area of the machine,” says Goebel. For further information on interpack 2017, please go to: www.interpack.com.